Our Chesterfield Management Team have all the credentials required to ensure our clients are provided with excellent person centered care and support. Gemma has 10 years experience in the Health and Social care sector spanning across 7 counties. We use this experience to provide exceptional care services. Gemma Sellars our Registered Care Manager previously worked as a Registered Manager for the last 8 years, she has successfully gained her Level 5 Diploma in Leadership and Management in Health and Social Care. This gives Gemma the experience and knowledge needed to manage large teams of Health and Social Care workers. Gemma’s experience is invaluable to delivering the best care support services. Wayne Cartwright the Managing Director of the Chesterfield Branch has worked in management and HR for 28 years. His experience in managing thousands of members of staff across multiple branches for a global organisation is key to ensuring Chesterfield Branch provides the most professional care and support possible. We currently have vacancies available for Support and Care Workers. If you would like to join the Chesterfield Respectful Care team, please apply via our recruitment page. We offer a wide range of one-to-one homecare services in Chesterfield tailored to meet your needs. You can receive a home visit from as little as half an hour to 24 hours of care, 7 days a week, 365 days a year. Our team provides homecare services across the whole of Chesterfield, including the areas listed below. If you are not sure if we cover your area please contact us for confirmation. 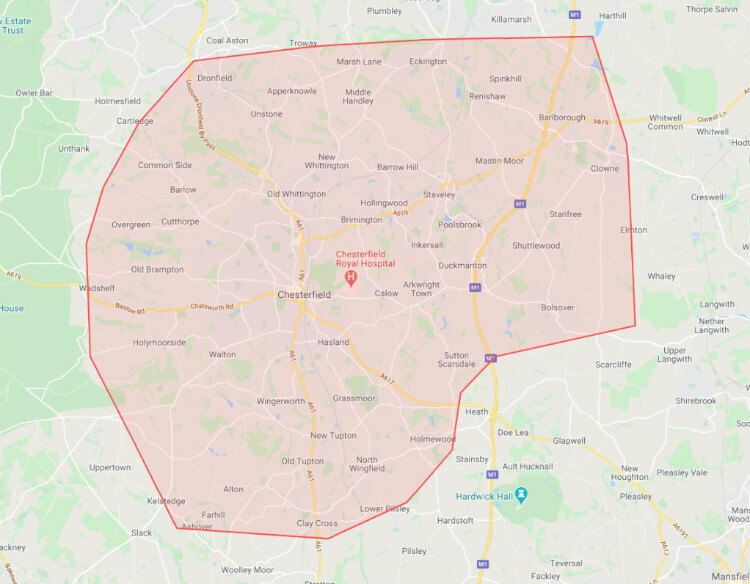 Some of the areas we cover include: Barlow, Barrow Hill, Bolsover, Brimington, Claycross, Clowne, Cutthorpe, Dronfield, Duckmanton, Eckington, Grassmoor, Hasland, Holymoorside, Inkersall, Mastin Moor, Newbold, North Wingfield, Old Brampton, Overgreen, Poolsbrook, Renishaw, Staveley, Shuttlewood, Sutton Scarsdale, Tupton, Wadshelf, Walton, Wingerworth, Whittington.